Roughly half of adults in the United States suffer from some form of periodontal (gum) disease. In most cases, the condition is relatively minor. All it takes to correct the issue is a few adjustments to a person’s oral hygiene routine. 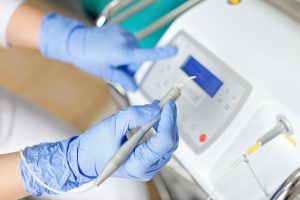 In more advanced cases, however, it may be necessary for a dentist to remove the diseased tissue to stop the infection and give the gums and the surrounding areas a chance to heal. That’s where periodontal laser therapy comes into the picture. This remarkable, minimally invasive procedure has the potential to save a suffering smile. How Long Should a Dental Crown Last? And How Do I Know I Need One? Dental crowns are a time-tested solution to the problem of distressed teeth. Properly placed crowns can last 10 years or longer, depending on the patient’s self-care habits. Signs that a dental crown may be failing include changes in your bite and discomfort beneath the gum line. 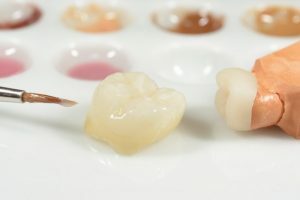 Comments Off on How Long Should a Dental Crown Last? And How Do I Know I Need One? There is nothing wrong with adults undergoing orthodontic treatment; roughly one-fifth of orthodontic patients are over age 18. However, if you have crooked teeth, you might hesitate to commit to braces. After all, you want to maintain your professional image and not feel like you’ve gone back in time to high school. Fortunately, many adults are candidates for Invisalign in Fort Lauderdale. This innovative treatment may be able to straighten your teeth without putting a crimp in your style. Are there things you don’t like about your smile? Whether you cringe at the sight of your stained teeth, you have a chipped tooth, or you have more serious aesthetic dental flaws, you might be thinking about visiting a dentist in Fort Lauderdale to discover how they could improve your smile’s appearance. 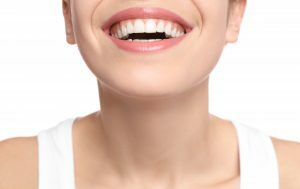 Here is a brief introduction to cosmetic dentistry that will help you as you embark on your journey toward a more beautiful, more confident grin. How Can I Fit Dental Implants Into My Budget? 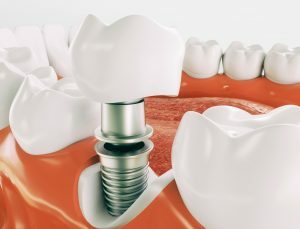 Many patients would like to replace their missing teeth with dental implants, but they’re concerned about the cost of the treatment. Admittedly, the entire procedure can amount to thousands of dollars. 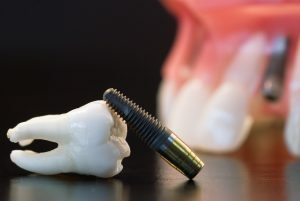 Why determines the cost of dental implants? Is there any way to make the treatment more affordable? Are dental implants really worth it? Let’s talk about these important questions. Comments Off on How Can I Fit Dental Implants Into My Budget? These days, it seems like even teenagers are too busy for traditional bracket and wire braces. To straighten teeth with these traditional orthodontic solutions, you’ll need to make frequent trips to see an orthodontist, make changes to your diet, and spend a lot of extra time caring for your smile. 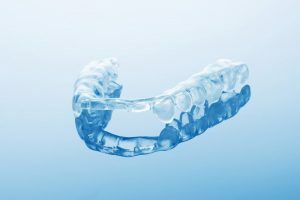 If none of this sounds ideal, there may be a better option – Invisalign clear braces. This unique alignment tray orthodontic system allows patients to straighten their smiles quickly, comfortably, and without the hassle of traditional bracket and wire braces. 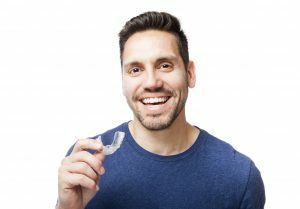 In this post, we’ll talk about some of the many ways Invisalign can make your orthodontic alignment more convenient. 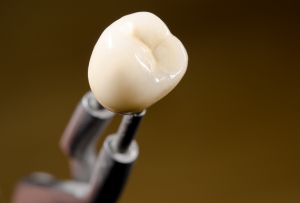 How Do Dental Crowns in Fort Lauderdale Work? Do you have a decayed or damaged tooth? Maybe you have one that is at risk for breaking or has an unusual shape? No matter the reason, your dentist may have recommended that you get dental crowns in Fort Lauderdale. If so, you have nothing to fear. 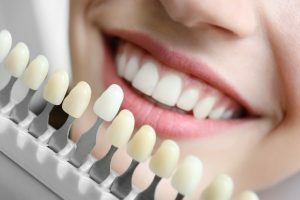 Using a simple and effective procedure, you can restore the health, function, and appearance of your tooth using an option that looks natural. Comments Off on How Do Dental Crowns in Fort Lauderdale Work? Dental crowns are one of the most common dental restorations used by dentists for several reasons. They’re versatility allows you to protect your current teeth from bacteria while still keeping your smile looking proper. It’s important to keep the cost of them in mind however, as they can fluctuate dramatically depending on several factors. 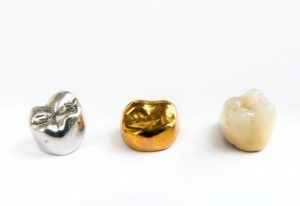 If you find out you need dental crowns in Fort Lauderdale, your dentist wanted to give you a heads up on the functions and relative costs to expect. So you’re thinking about getting dental implants to replace your missing teeth — you have an exciting journey ahead of you! They’re the best way to regain a mouth full of gorgeous, functional pearly whites because they’re so sturdy and long-lasting. But did you know that there is more than one type of implant? Let’s take a quick look at the two different implant varieties and talk about which one might be right for you.